The long disputed Northgate site on the edge of Bridgwater Town Centre has finally been given the go-ahead for a state-of-the-art new cinema as its flagship attraction. 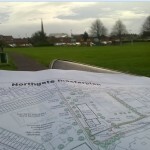 After a bitter campaign by townspeople to prevent Sedgemoor District Council simply dumping a massive supermarket on the site, Bridgwater Town Council worked with their powerful overlords to nurture plans for a new leisure-led Northgate regeneration scheme in the centre of Bridgwater. The announcement now confirms the ‘anchor facility’ for the leisure-based scheme that is central to the future regeneration of Bridgwater town centre. A 25-year agreement to lease has been signed which starts the marketing of the site to other potential tenants of the scheme which is being led and funded by Sedgemoor District Council. The new cinema will have seven screens with the latest in audio and visual technology. There will be a boutique studio auditorium and a Director’s Lounge, which will be available for presentations, meetings and corporate events. The building will be fully accessible with dedicated wheelchair access to all screens. The signing of the lease is the start of the marketing process for the rest of the scheme, which also includes space for four restaurants as well as a first floor gym/leisure space. Open space and gardens will lead onto the Brewery Field. Planning and development consultancy Montagu Evans is advising the Council on bringing forward the development and is now marketing the restaurant units and first floor space to potential operators. Outline planning permission was given in July 2016 and a ‘reserved matters’ application will be submitted in the near future, which will have more details about the scheme. It is hoped that building will start on site in late 2019 with an expected opening in late 2021/early 2022. 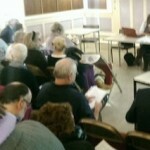 Scott Cinemas was regularly mentioned in consultations with the public as prefered people to run the new project. A south-west based cinema exhibitor with 12 cinemas,Scott Cinemas was founded during the 1960s by Mr Charles C.W.Scott who at the time was the manager of the Alexandra Cinema in Newton Abbot. Further cinemas were acquired in Lyme Regis, Sidmouth, Exmouth, Barnstaple, East Grinstead, Bristol and Bridgwater. In 2017, WTW Cinemas of Cornwall became a major shareholder in the Scott business, adding cinemas in Newquay, St Austell, Truro and Wadebridge and the combined new Group has substantial expansion plans. Northgate is being marketed directly by Sedgemoor District Council, who owns the site, and represents a £11 million investment in the town. The council had previously considered partnering with a developer on the scheme but decided to take the lead role to ensure delivery of a sustainable scheme which delivers a range of economic improvements to the town centre as a whole as well increasing Council revenue. The leisure-based scheme will provide a great new space for people to enjoy and will include a seven-screen cinema, four restaurants, a gym and 111 parking spaces. Open space on the Brewery Field will also be improved to include a park suitable for use all year round and public open space that will complement the facilities enabling outside dining, areas to meet and socialise and be an effective link from the docks area through Brewery Field and to the town centre. 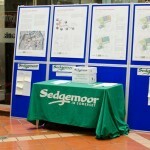 Since the beginning of 2018, Sedgemoor District Council have been developing the concept of the Northgate Cinema and Leisure Scheme in Bridgwater and this will be the third phase of the Northgate development following the successful implementation of the new Northgate Primary School, in conjunction with Somerset County Council and the new Blake Car Park. Very good news indeed. The only reservation I have is that the Cinema tickets will be much more expensive. The cinema at the moment is a success because of the friendliness of staff and the very affordable prices.